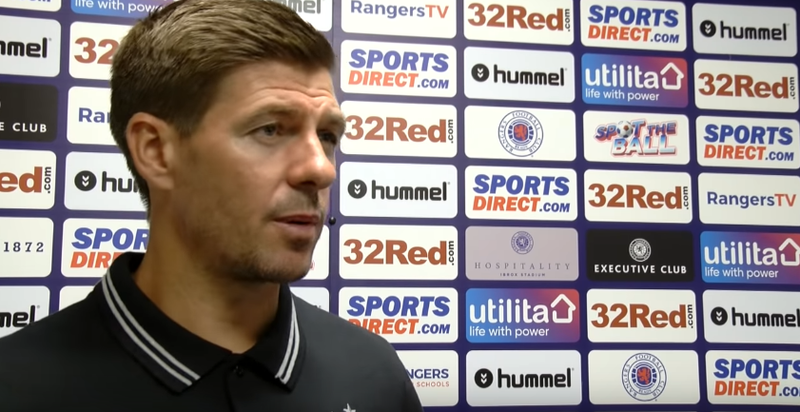 Steven Gerrard may have dropped a significant hint that he sees youth academy graduate Zak Rudden as potential first team material and could be looking to deploy him as a solution to Rangers’ striker problem. Rangers are more than a bit thin on the ground up top, with Eduardo Herrera having no future in Govan, Kenny Miller gone, Jason Cummings likewise, and Ryan Hardie off to Livi again, and this leaves only Alfredo Morelos as the sole striking option. Until we bring young Rudden in. 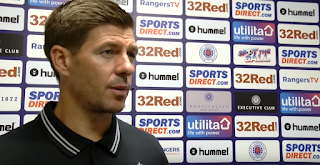 Speaking after the Bury friendly to Rangers TV, Gerrard confirmed he may be looking at a promotion for the lad. Well it can only be many if he plays him, and the underlying hint in there is the 18 year old may well get the opportunities in the first team to do so under this manager. Naturally time will tell but Rangers’ slight poverty up front definitely needs some armaments. The team are very poor up front but I don't know about Rudden. I would think in a circumstance where we HAVE to, yes. All able bodied young men to the front. However, if there are alternatives he should be given time to ripen on the vine. Deary Deary Me Rudden is as raw as a steam burn, nowhere near ready for the SPL, playing him now would destroy him, he definitely needs time to mature & bulk out. In the team before Escobar before the seasons out, bit early for the Whisky. Middleton is a different kettle of fish hes already bulked out and ready NOW. Different players different time scales. Still 3 or 5 players to come in yet, still 6 weeks left of the window everybody just Chill the fuk out!! It is a little strange that he would look to promote Rudden while sending Hardie out on loan for 6 months. If he wants to know if Hardie can hack it, I agree. But if he is not reckoned as good a prospect as Rudden, why keep him? Scott's. Rudden 2 years down the line mate, which is great news for the future. why is umar taking sooo long? I would like to take it that Steve Gerrard knows what he's doing. If these players were raised through Celtic, The Sheep, Hibs, Hearts or indeed English Clubs they'd get a run if THE MANAGER feels they are good enough. Anyone geez a bung til pay day?